Two bedroom luxury suite with gourmet kitchen. A very luxurious 2-bedroom second floor apartment in the quaint mountain village of North Creek. Tastefully decorated in an Adirondack motif. Walk to grocery store, bakery, diner, bars, etc. Gourmet Chef’s well-equipped kitchen, living room with fireplace and flatscreen tv, covered deck and free WiFi. 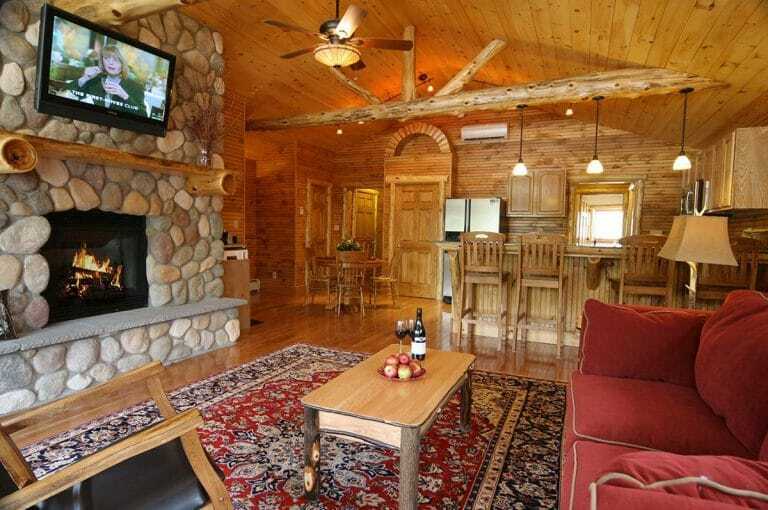 Well-equipped Adirondack lodging offers two bedrooms; one with king-size bed, one with 2 twins. Perfect for 2 couples traveling together or a small family. Daily housekeeping and linen provided. Centrally located to enjoy all the options the Adirondacks offer; rafting, tubing, hiking, swimming, biking, fishing, and golf. Easy drive to Adirondack Museum in Blue Mt. Lake, Lake George (1/2 hour), Lake Placid (1 hour), and Saratoga (1 hour).